← All struggling. All smiling. 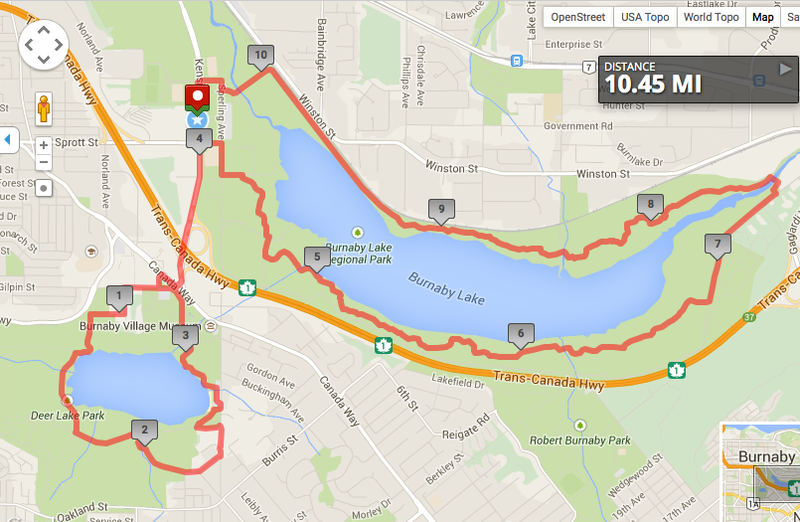 This is the map of the route we were supposed to run Sunday. 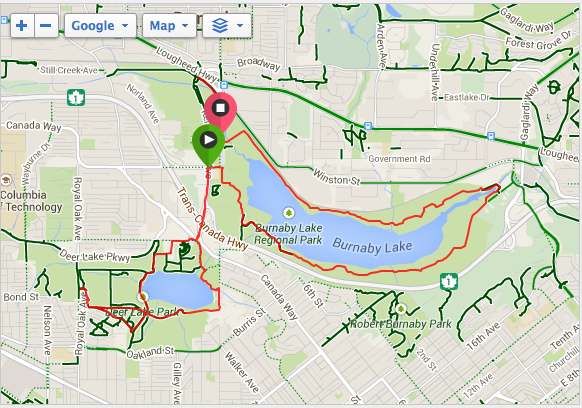 This is the map of the route we actually ran Sunday. Pretty much totally the same. Yes folks, the lost runner in me struck again. But hey, a few added hills never hurt anyone right… right? 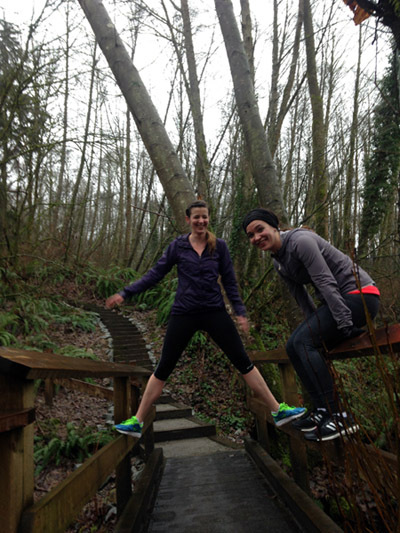 As one of my favourite running chicks noted, we weren’t lost, we were exploring. Two hours in the trails – just look at this beauty! Next time, we do planks! 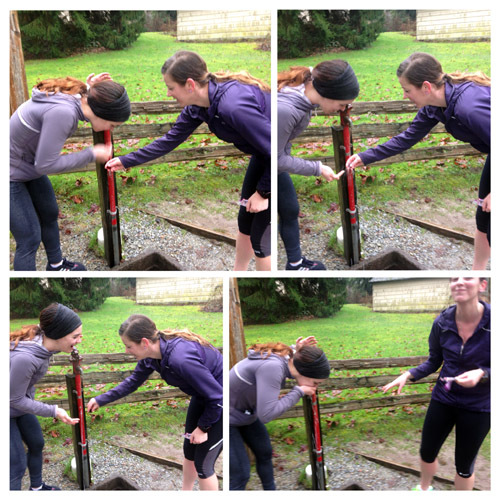 And with a water station on route, we were totally set – lost or not! How many running chicks does it take to wash a dropped shot block? Seems I had the opposite blood sugar problem this time around compared to the last few Sundays. For this run, I pre-programmed a basal setting on my pump that was about half the reduction from my normal settings and then I started out with a 50 per cent reduction on top of that, upped it to -70 per cent at the 25′ mark, and then when I saw they were rising about an hour into the run, lowered it to -30 per cent. I was also taking in fuel right from the get-go – I did not want to be dealing with lows on this run. Apparently, it wasn’t the proper math all around. See above. Blargh! One of these days I will figure this bloody thing out! This entry was posted in Running, Training, Uncategorized and tagged directionally challenged, lost runner, running with hyperglycemia, running with hypoglycemia, trail running. Bookmark the permalink.